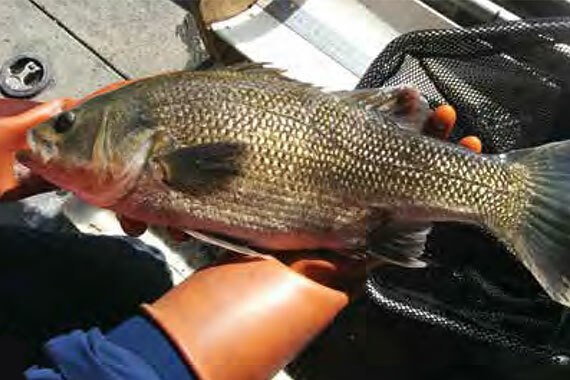 During 2014–15, 155,308 ML of water was delivered to Gippsland’s Snowy River, while an important project continued to investigate the relationship between environmental water and Australian bass populations. During 2014–15, 155,308 ML of water was delivered to Gippsland's Snowy River, while an important project continued to investigate the relationship between environmental water and Australian bass populations. The Snowy River environmental water releases aimed to support the rehabilitation of the river below Jindabyne Dam and maintain the shape of the river channel (recognising that it is not possible to restore or maintain the Snowy River to its former size with only one-fifth of its former flow volume). Liz Brown, Environmental Water and Strategic Projects Coordinator with East Gippsland Catchment Management Authority, said investigations were continuing into how environmental water can be managed to provide the maximum environmental benefit to the Victorian section of the Snowy River. "The focus initially has been on investigating whether Australian bass can be supported to spawn using environmental water," Liz said. "Australian bass are a significant species in the estuary. They are one of the major predator species and they are also a popular angling species. Little is known about their life cycles in Victorian waters with most of the limited research done to date occurring in New South Wales rivers." The project has also improved understanding of the landforms of the lower Snowy River, specifically by knowing the interplay between water flows and constriction of the river estuary mouth. "We now have a good hydrodynamic model of the estuary which can be used to predict conditions, including salinity, temperature and water levels, under different flows and estuary mouth conditions," Liz said. "This will be invaluable in predicting the response of any future environmental flows on selected parameters in the estuary."